Company leaders need to spend less time thinking about a theoretical construct around Corporate Social Responsibility, or how they can spin public opinion by charitable actions. Most often, the problem is not social irresponsibility; the problem is a lack of knowledge about what is taking place in the company or at its subcontractor sites. What company leaders need instead is a practical knowledge and risk management framework in their company that allows them to avoid costly and reputation-damaging behavior in the first place. First, they need to mobilize key employee knowledge and the vast amount of information available on potentially sensitive issues in a way that allows key decision-makers to "sense and respond" quickly and correctly to developing risks. Second, it means creating objective, scenario-based guidelines for ethical behavior, communicating those guidelines using knowledge management techniques among key organizational leaders, and providing a workable system of incentives for managers to surface potentially dangerous issues. Third, companies need to adopt emerging guidelines such as AA1000 that provide for ethical procedures and performance indicators that enable companies to audit and monitor their own behavior, and also to provide shareholders and the buying public with an objective report on the company's ethical performance. 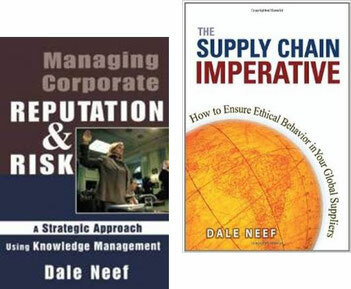 Through a mixture of leading practice case studies and a clear framework, these books show how a corporation can begin to combine leading practices in risk and knowledge management with emerging international guidelines in order to develop and manage a program of corporate integrity.